MARQUETTE, MI – Dr. William John Dehning, 74, Marquette, MI, passed away peacefully at the Marquette Medical Care Facility in Ishpeming, MI, on June 23, 2017. He was born in Aitkin, MN, to Wilfred and Hazel (Swanson) Dehning. Dr. Dehning spent his early childhood in northern Minnesota with his brother, mother, cousins, aunts and uncles, but left for California at age 13 to live with his father and step-mother, Kay (Brown) Dehning. He attended Arroyo High School in El Monte, California and received a full scholarship to study engineering at UCLA. He quickly realized he was meant to be a musician and finished his degree at UCLA in music education (having studied trumpet and French horn). After a few successful stints as a church choir director in the Hollywood area, Dr. Dehning decided to pursue a choral conducting (sacred music) degree at the University of Southern California with the renowned Dr. Charles Hirt. While there, he started his first semi-pro choir, the Verdugo Hills Chorale, one of several community choirs supported by the City of Los Angeles. He quickly became Hirt’s protege and would go on to finish his M.M. and D.M.A. in Sacred Music with the highest of honors from the University of Southern California. In 1964, he married Margaret (Joplin) Dehning of San Fernando, CA in San Fernando, California, with whom he had two daughters and many wonderful adventures. In 2008, he married Dr. Erin Colwitz of Green Bay, WI in Huntsville, Alabama with whom he remained until his death. Dr. Dehning’s first tenure-track position was at Northern Michigan University in Marquette, MI (1970-1972) where he founded the Marquette Choral Society. From there, he taught at the University of the Pacific in Stockton, CA (1972 – 1991) and then became Chair of the Choral and Sacred Music Department at the University of Southern California in 1991 until he retired from teaching in 2007. Among his many remarkable career accomplishments is his founding of the National Collegiate Choral Organization (NCCO) in 2005 with a group of former students that still exists and thrives to this day. He was an active member of the American Choral Directors Association (ACDA) former CA-ACDA President. Dr. Dehning also formed a semi-professional chamber chorus called the California Choral Company (1985-1995) that attained a reputation inÂ EuropeÂ as well as in the United States. He was always opinionated, a tad controversial and a forthright champion of his art, particularly the Western Choral Canon. 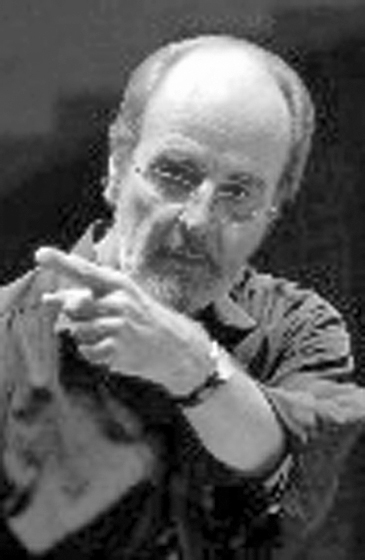 Foremost, he is known as a master rehearsal technician and a renowned interpreter of J.S. Bach. Upon retirement, Dr. Dehning left behind a legacy of teaching that is unparalleled. He was a master teacher, having won multiple teaching awards from two universities. His many ensembles were selected to perform at multiple regional and national ACDA conferences, including seminal performances in San Antonio (1991) and Los Angeles (2005). Dr. Dehning also won multiple international performing awards in competition with the USC Chamber Choir. He became known for his evocative choral sound that was bold and colorful and always exciting. Dr. Dehning was a masterful conductor and won the best conductor award at multiple international competitions. His students revered him as a musician, a professor, a mentor, a conductor, but primarily as a person. He was brilliant, book-smart, cultivated, sometimes aloof, funny, yet personable. His colleague, Dr. David Wilson called him a “blazing star”; he was larger than life in every sense of the word and his death is a major loss for the choral world. After a long fight with a horrible disease that left him paralyzed, Dr. Dehning leaves behind his beloved second wife, Dr. Erin Colwitz, former student; first wife, Margaret (Joplin) Dehning of San Pedro, CA; his children, Megan (Dehning) Learned and Greg Learned of Kona, HI, and Libby (Dehning) Miller and Lee Miller of Davis, CA; his two grandsons, Kane and Beck Miller of Davis, CA; in-laws, Gene and Patricia Colwitz of Green Bay, WI; Sarah (Colwitz) Kubiak of DePere, WI, Andy and Jennine Colwitz of Howard, WI; and many cousins and extended family members that live in Aitkin, MN. Also, his golden retriever, Sam and two kitties. He was preceded in death by mother, Hazel, father, Wilhelm, and brother, Rolf Dehning. The family would like to thank the Marquette Medical Care Facility and the wonderful caregivers there. Also, Teresa Schutts, Tanya Wonacott, Tara Utzman, Ashley Carlson, Rachel Carne, Tamekia Nolan, Chrissie Maata, Kathy Washburn, and the many other caregivers who spent every day caring for Bill. Funeral Service in Michigan will be held on Wednesday, June 28 at 4pm (greeting will begin at 3pm) at NMU’s University Center (Great Lakes Room). Reception to follow. In lieu of flowers, please send donations to ACDA’s FUND FOR TOMORROW. Contributions can be mailed to: ACDA Fund for Tomorrow, 545 Couch Drive, Oklahoma City, OK 73102-2207. Please make checks to ACDA, with “Fund for Tomorrow” in the memo line. Arrangements are being made to hold memorial services for Dr. Dehning in both Northern and Southern California in early August. The Swanson-Lundquist Funeral Home is serving the family where condolences may be expressed online at www.swansonlundquistfuneralhome.com.